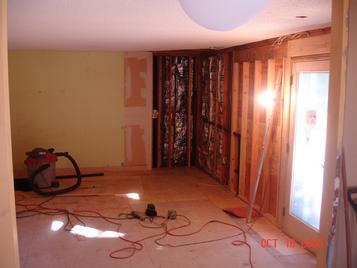 These pictures are from Peter Stanchfield's Major renovation. 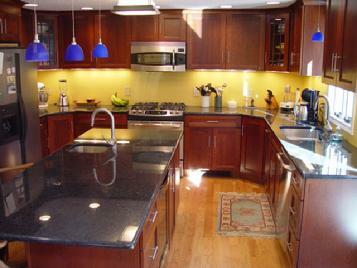 We completely removed his existing kitchen, front foyer, 1st floor bath and redesigned the layout. 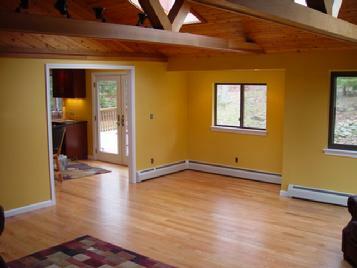 We removed all the floor coverings and installed new hardwood flooring throughout the entire first floor. We relocated the kitchen from an area partitioned off from the living room into what was the family room. We enlarged the kitchen space from 8'x12' to 15'x20'. 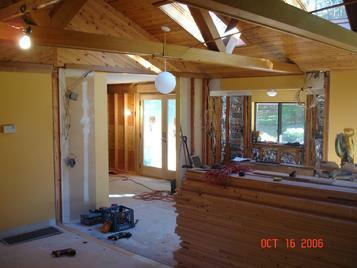 Not shown here are three bathrooms and the front foyer which also underwent dramatic transformations.